- Throughout history, how many 'revolutionaries' have demanded they be disarmed ahead of time? In this new story over at Government Propaganda that Steve Quayle linked to on his website on Friday, they remind us that Barack Obama recently sent a chilling message to children across America marching for 'gun control' who are reminding Americans of 'Hitler's youth': ‘We’ve Been Waiting For You’. With Obama also recently pondering the thought of "creating a million young Barack Obama's" as reported in this story over at The Hill, Obama's 'brown shirt revolution' against Americans rights marches on. 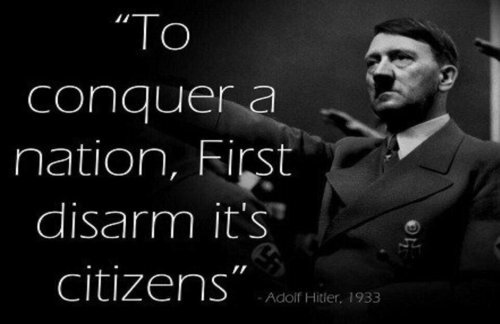 While estimates that 500,000 people recently 'stormed' Washington DC demanding 'gun control', the message that rang out the loudest and most ignorant of history came from the mouth of David Hogg who continued the Nazi Germany theme we've been watching unfolding in this latest Democratic gun grab scheme with this amazingly naive comment that was plastered across the headlines of mainstream media from sea to shining sea: "We're going to start a revolution". With the beauty of the 2nd Amendment here in America perfectly illustrated in the phrase "it will not be needed until they try to take it", every day we're getting more and more evidence that indeed is the direction the globalists are trying to take America and as we see in the 'salute' below given by Hogg while he called for 'revolution', some things never change. And now we learn of a Democratic candidate for sheriff who has suggested killing people as a means to take their guns as the Gateway Pundit reports in this new story about R. Daryl Fisher in Buncombe County, North Carolina. Is Fisher completely insane, threatening to murder law-abiding American citizens, or is it his intent to launch the next American civil war? As Shephard Ambellas reports in his new story over at Intellihub, these totally clueless protesters are actually marching to take away their own Constitutional rights to protect themselves and their families from criminals who will never voluntarily give up their guns, the majority of which they most likely acquired illegally anyways. Why would they want to give up their rights to protect themselves? And with Obama and Eric Holder's stunning hypocrisy perfectly illustrated in the 'Fast and Furious' gun running scandal that led to the deaths of over 200 innocent people, including US border patrol agent Brian Terry in 2010, we're not the least bit surprised that Hogg and the rest of those who are calling for 'revolution' and are talking about overthrowing the US Constitution are not addressing how they plan on 'winning a revolution' without the 2nd Amendment to do so. Throughout history, how many 'revolutionaries' have demanded they be disarmed before their 'revolution'? 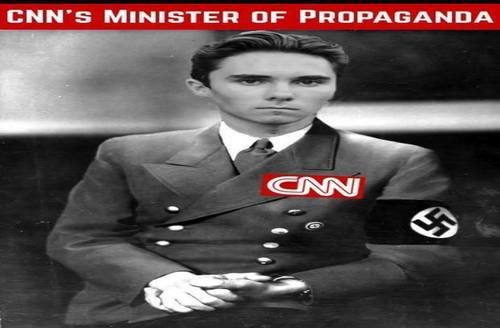 With Hogg also now threatening to remain in America's faces, promising he'll continue to try to take the guns away from law-abiding American citizens for at least the next 10 years as reported in this story over at Grabien, the recent non-stop attacks upon both the 1st and 2nd Amendment's here in America are dire warnings of what lays ahead should Americans fail to vanquish this now-open totalitarianism from our land forever before it destroys everything in its devilish path. As we reported on ANP just days ago, most of Europe and specifically the UK have already fallen to outright tyranny with notable conservatives being banned from the country while one man actually faces prison time over a satirical though tasteless video. With Muslims fearing the criticism of their totalitarian and barbaric political philosophy at the very root of attempted 'purge' of our right to speak freely here in America and in the UK, the propaganda coming at Americans from CNN, MSNBC and the entire mainstream media apparatus has been kicked into high gear and they've got new favorite faces to lead it though there is a huge jump from eating tide pods to carrying out a 'revolution'. With many Republicans in Congress now betraying the American people by working with Democrats to gut the 2nd Amendment as Daisy Luther reports in this new story over at the Organic Prepper, this must read story over at Zero Hedge details just how close America now is to total tyranny. The Democratic Congressional Campaign Committee has identified 102 seats as “competitive” in its red-to-blue campaign programme. Eighty of these seats are vulnerable Republicans, and 22 are seats where the incumbent is retiring. 57 of the 221 candidates standing for the Democratic nomination in these 102 districts are current or past agents of the military-intelligence complex. And of those 102 districts, 44 have one of these candidates, 11 have two, and one has three. Furthermore, there are indications that the financial backers of the Democratic Party are supporting this influx of intelligence operatives, and that they are well-funded. These candidates either represent or have strong links with the military-intelligence complex. This complex, the Deep State, has already regained a high degree of influence over the White House following the last Presidential election, to the point where it now appears to have gained control over foreign policy. It also dictates homeland security. 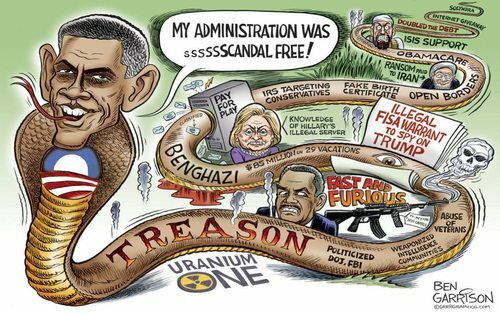 Unsatisfied with the degree of control it has over the White House, the Deep State now appears to be seeking to control Congress as well, by having politicians in its pocket on both sides of the House, thereby holding the balance of votes. While many claim that America could never slip completely into tyranny, those who've been paying attention have long warned that we're watching most Americans suffering from 'boiling frog syndrome' as our God-given and Constitutionally protected rights are chipped away one by one while a totalitarian, surveillance dictatorship has popped up all around us. And now 'Obama's brown shirts' are openly calling for their own rights to be further stripped away though as Susan Duclos reported in this March 24th story on ANP, Parkland HS students in Florida aren't too happy that they may soon be required to use clear, see through backpacks, with Hogg calling such a thing a violation of his 1st Amendment rights. Showing once again, people should be careful what they wish for because they just might get it. And while most everybody knows that clear backpacks won't stop a school shooter who is intent upon creating carnage, and certainly they'd be much less of a deterrent than fully armed and weapons-trained teachers and administrators within the schools, the fact that one school district in Pennsylvania will be arming each classroom with a bucket of rocks in attempts to stop a potential school shooter shows how laughable the 'solutions' being offered by the left are. As we reported on ANP on March 21st, the systematic stripping away of rights that we're now witnessing in America is a well practiced plan that stretches back more than a hundred years with societies moving from 'open' societies to 'closed' societies in relatively frightening speed, especially for those who haven't been paying attention. 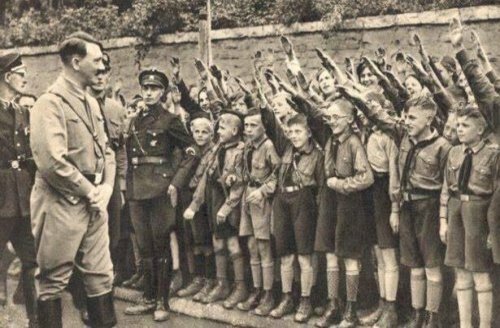 As Joe Hoft reported over at Gateway Pundit on March 24th, Adolf Hitler also used children in Nazi Germany as props to take guns away from law abiding citizens and we all know what followed. With America already being rushed towards an Orwellian, totalitarian borg with AI surely the new masters of the universe in the days and years ahead, how long would it be until the concentration camps are put into use for Christians, Conservatives and 2nd Amendment supporters if we continue this well traveled road? With Saturday's anti-gun march having the fingerprints of George Soros and Barack Obama all over it, and Barack Obama recently claiming that his administration was scandal free despite the nearly unending list of scandals that slithered along with him where-ever he went perfectly illustrating the 'orwellian world' which had been created in America during his time in office while perfectly detailing the depths of corruption to which his govt had fallen, his 'brown shirts' march on. With the past giving us hints of where we're now going, my next story on ANP will be taking a look at the system of gulags across the Soviet Union that housed slave labor and are now being glorified within which millions of Russians died from beatings, torture, freezing cold temperatures and starvation and which could be the model for 'Hillary Clinton fun camps' in America, the likely 'next step' which could be coming should we continue to follow the totalitarian path we're heading.